Citizens Union is committed to work towards the necessary reforms of the government of New York City and State, and to the enfranchisement of all New Yorkers. We are currently focused on developing programs centered on civic education and the Census of 2020. Our organization is over 120 years old, and our work has been—and always will be—nonpartisan. The work of Citizens Union is comprised of two different entities. Citizens Union in the City of New York is a 501c4 organization advancing policy proposals to improve our government while conducting evaluations of candidates for city and state offices. The Citizens Union Foundation is a 501c3 organization that conducts in-depth research, provides information to the public, and promotes public policy solutions. Citizens Union began in 1897 when a group of outraged residents banded together to start a new, independent political party: the Citizens Union. Just four years later, in a stunning defeat of the entrenched Tammany Hall political machine, New Yorkers elected Citizens Union candidate Seth Low as Mayor. Today, Citizens Union works tirelessly without regard to party, for the purpose of securing honest and efficient government in New York City and State. The Miriam and Ira D. Wallach Division of Art, Prints and Photographs: Photography Collection, The New York Public Library. "Park Row, 'Newspaper Row', Manhattan." 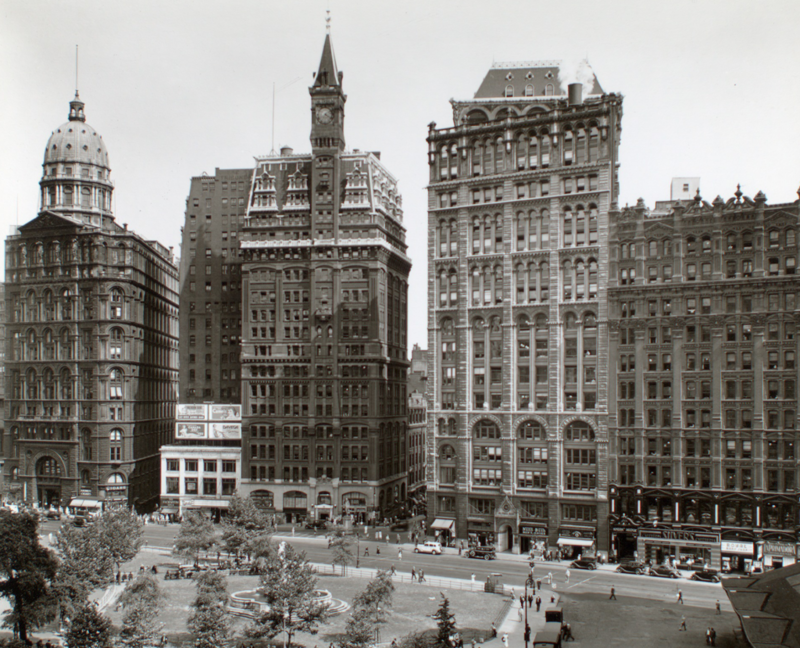 The New York Public Library Digital Collections. 1936. There are two arms of Citizens Union: Citizens Union of the City of New York (a 501(c) 4 organization) and Citizens Union Foundation (a 501(c) 3 organization). The former is our lobbying arm, enabling us to advocate for policy that serves the people of New York—not moneyed interest. The Citizens Union Foundation focuses on the research and public education areas important to our mission. Working through both of these organizational arms, Citizens Union is able to fulfill all of our mission goals. Together, they also give supporters a variety of ways to participate in our work, including as Members (to Citizens Union) and as Donors (to the Foundation). All work on CitizensUnion.org is licensed under a Creative Commons Attribution 4.0 International License.